As a developer and publisher of applications, with the use of auditing and certification by mediaTest digital, you can guard against data protection and data security risks and create positive selling points. 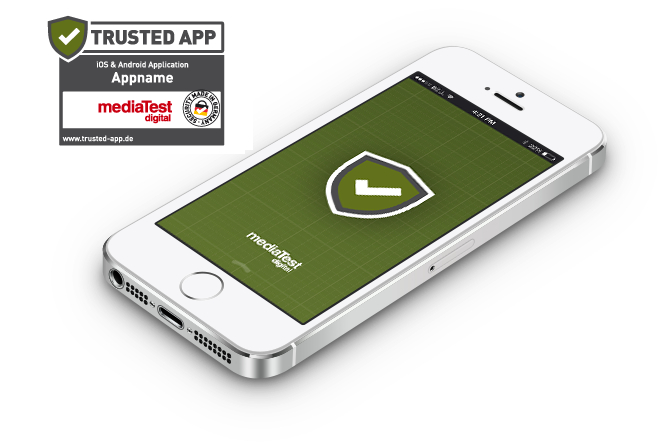 The “Trusted App” certificate confirms trustworthy compliance with data protection and data security guidelines. The auditing of in-house applications eliminates security concerns and risks to your IT infrastructure. With the “TRUSTED APP” Online Seal you can inform your customers at any time about the security of your app, whether you use the direct link, link to the online seal via QR code or inform the user directly from within your app about the mediaTest digital security standards.